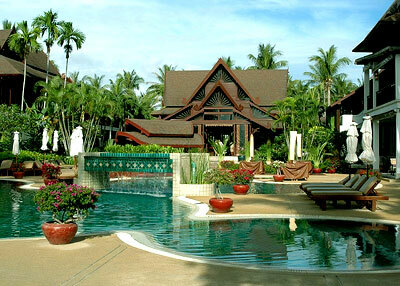 Koh Samui is a very popular island located off the Eastern Coast of Kra Isthmus in Thailand Thailand. 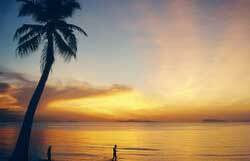 The island is nearby mainland town of Surat Thani. Being Thailand's second largest island, with an area approxinately 230 km², Samui is mostly visited by holidaymakers due to so white beaches and warm sea which makes it the main appeal for those who just wants to get free and relax, and the island has plenty to offer. An island under a clear blue sky, the indigo water of the Gulf of Thailand, Koh Samui is indeed one the best resort beach destinations on earth to relax and enjoy. Experience the blissful tranquility of Samui. With lots of things to explore and much to see and do, this is definitely a place for you to remember on your journey back home. Chaweng is the major region that covers most of the island's eastern coast. Having the most crowded and tourist saturated destination on the island, the beach itself suffers from overcrowding all year-round. The nearby ring-road, having a built up huge Western-style tourist town is full of restaurants and bars, souvenir shops, markets and nightclubs. The place can easily get very busy at night. Nightlife is a heaven for club goers. There is a 12m high Buddha which lies at the top of ceremonial dragon-steps at the Wat Phra Yai. The island also boasts quite a number of other spectacular temples, including the Wat Khunaram where the body of Loung Pordaeng, a monk who died in a meditating position, is on display. You can visit the Grandmother and Grandfather rocks which is located very near to the Lamai beach. The mountain jungles which is in the inner part of the island is a fantastic getaway. 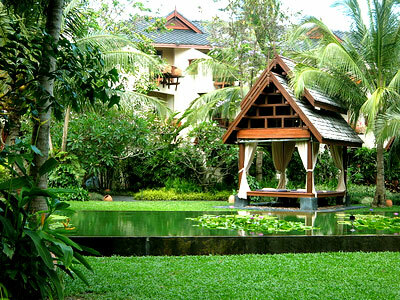 The place has impressive gardens built by the legendary Thai farmer named Nim Thongsuk. You can also go for a swim at the scenic waterfalls of Na Muang or discover the real working rubber plantations. Witness some of the most amazing views of the Ang Thong archipelago. Take part in an adventure during the the road journey in the jungle and travellers usually will have a tour guide around the area with an experienced Samuian driver. You can also watch Muay Thai boxing at the island's stadium in Chaweng. There are boxing matches daily. Quite a number of different animal species can be found around the island. You can take a look at the animal attractions which include a crocodile farm, a monkey theatre, elephant trekking, a snake farm, an aquarium and a butterfly garden. Many travellers will spend a day to the attractive Ang Thong National Marine Park. There are boats available which leave Na Thon few times a day. The famous Ko Pha Ngan has a full-moon party at the right time each lunar month, and tourists in Koh Samui will often sail to the nearby island to have fun. This is indeed a party not to be missed if you happen to be at Koh Samui during that time.